"Idealistic Wheelock College is on a mission: "to improve the quality of life for children and their families," and it emphasizes community activism in addition to its liberal arts and professional programs. The innovative Wheelock Family Theatre produces bang-up shows, keeps ticket prices low, and each play is simultaneously interpreted in Sign Language." Describe the type of student who should not attend Wheelock College and explain why. Someone who should not attend this school is someone who worries more about parties and has no cares in the world. This school wants you to work hard and is too small to have any parties. Describe the type of student who should attend Wheelock College. Why? The type of student who should attend this school is the kind that is passionate about working with children and families. This school stresses the importance of helping people and making a difference in the world. What are the top 3 reasons someone should attend Wheelock College? What is a typical Wheelock College student like? Describe the type of person that should attend Wheelock College. A typical Wheelock College student is a positive person, who is friendly, hard working, and dedicated. Also, a typical Wheelock College student loves to work with children, and he or she likes to help others. Since 1888, Wheelock College has been providing a transformational education to students passionate about making the world a better place--especially for children and families. While most of our students elect to work in the helping professions of education, social work, child life, and juvenile justice and youth advocacy, many pursue, and make exceptional contributions to, a wide variety of professions. What are the top 3 things that students do for fun at Wheelock College? They watch movies in the common room. They play Frisbee and other games on the campus green. Also, they go to the college's activities, such as karaoke and plays. Campus housing is available for undergraduates. Housing deposit : $100.00. Housing deposit due : May 1. Housing deposit is not refunded if student does not enroll.. No cars. No pets. 70% of students live on-campus. A program that prepares individuals to plan, manage, and implement social services for children, youth, and families. Includes instruction in child development and psychology, adolescence, family studies, social work, social services administration, juvenile and family law, program and facilities planning, youth leadership, counseling, probation, casework, applicable procedures and regulations, and professional standards and ethics. 65% of students graduated in the top half of their class. 10% of students graduated in the top tenth of their class. The average student pays $29,617 for tuition, fees, and other expenses, after grants and scholarships. Total stated tuition is $30,755, in-state and on-campus, before financial aid. Learn more about financial aid at http://www.wheelock.edu/admissions/financial-aid-undergraduate. Estimate the net price for you at http://www.wheelock.edu/price. Wheelock College participates in the NCAA Division III for college athletics. 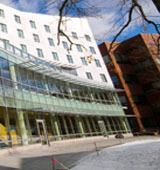 Want more info about Wheelock College? Get free advice from education experts and Noodle community members.